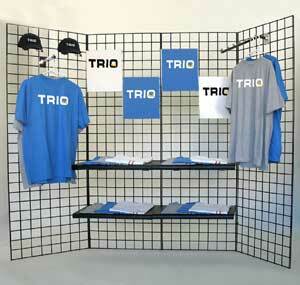 Grids have been around now for several years as one of the most versatile merchandising presentation systems available on the market. 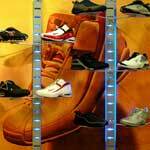 As grid prices come down merchants are using grid systems not only on their walls but throughout their stores for floor displays and point of purchase racks. 1) Choose colors carefully. Fixtures should not compete with product for attention. 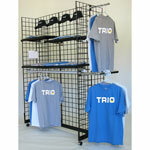 Stick with neutrals like white, chrome, or black to best present your merchandise. 2) Try to stick with standard sizes and colors. 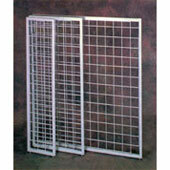 We manufacture custom grids but the lead time runs 4 weeks. This is the most common question asked by clients. Gridwall and slatwall prices are very close. Slatwall offers hundreds of finish colors and has a more refined look than grid. 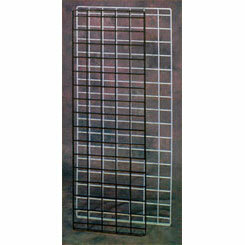 Gridwall looks very high-tech and holds substantially more weight than Slatwall. For most of our clients the concern is aesthetic rather than economic and we often specify a combination of the two systems. Please click on one of the categories below for more Gridwall information and pricing, or call one of our customer service representatives at 1-800-454-4844 with any questions.